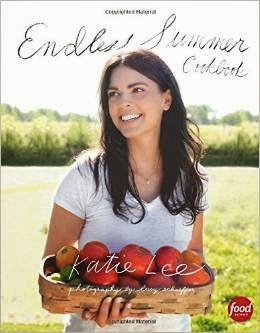 Katie Lee released a cookbook today called Endless Summer where Katie Lee, "known for her summer soirees," shares more than 100 recipes that are staples at these parties. Hopefully there is no audio version of the book. Marcela Valladolid gave birth to a healthy son named David last week, and there are plenty of pictures of her son on her Instagram and Facebook pages. Congrats to her. Jamie Deen and Bobby Deen are currently filming a show for the Food Network called Southern Fried Road Trip where they travel the country looking for the best local food. It sounds pretty much like Road Tasted that Jamie and Bobby have filmed in the past, but with a different name. Looks like they have no hard feelings toward the Food Network for firing their mother. Oh, Matt! Love your comment about the idea of Katie Lee's cookbook being released as an audiobook! Oh, please say it "ain't" so about the Deen boys--it was bad the first time, can't take a reincarnation. I can take Bobby Deen more than Jamie because I don't have to listen to the constant y'all's. Jamie turns my stomach almost as much as his mother does. And LOL @ hopefully no audio version of Katie Lee's book! Just Amen. Among my friends there's a betting pool going as to whether Bobby moves to Giada or Katie. Well, Katie was married to Billy Joel, so she likes her men older. I'm so over all the Deens. I think it's time for them to just go away and live off the money they've earned. American Diner Revival sounds like an interesting show. Why stop with those two? The boy has some lost time to make up for!!!! Serves Billy Joel right for insisting on a young piece. Took him for all he's worth. Her mother didn't raise a fool. He really thinks he could hold onto a chippie?